Three skiers have been found dead in an avalanche at the Italian resort of Courmayeur. Among the dead are British and French skiers are according to an Italian media report. Two people from the UK and France, a total four skiers were reported missing on Sunday afternoon, after the alarm had been raised by friends of the two British skiers around noon when the pair failed to arrive at a meeting point, following an alert that the risk of avalanches in the area was high. So far Alpine rescue teams have found three bodies and are looking for the fourth skier. A total of eight people, including a Belgian snowboarder, have died in Italy as a result of weekend avalanches. Several Italian residents were among the eight killed at the weekend. Search operations were also hampered by the continuing risk of avalanches, preventing search teams from going on foot. 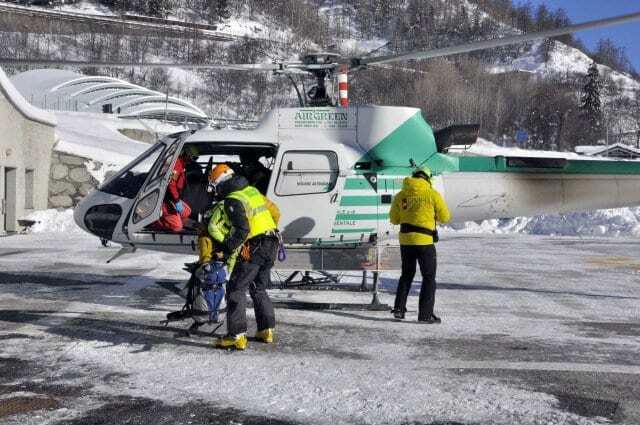 Rescuers prepare to board a helicopter in Aosta, Italy, Monday, Feb. 4, 2019, to reach the spot where the bodies of three skiers were found. The search for the missing continues, despite the hazardous conditions and the risk of further avalanches. More to follow as it breaks. Taliban talks with the US proving fruitful – Perspective!